EV power is catching up in the developing world and presents itself to many as a new opportunity for business. 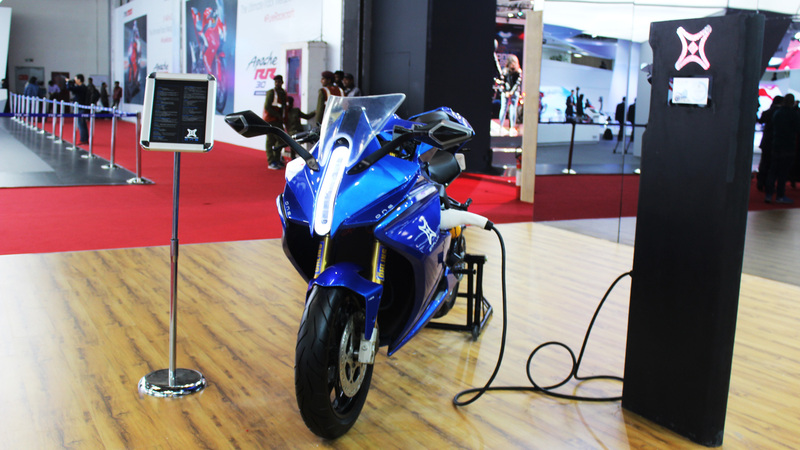 A bunch of EV start-ups have upped themselves onto the two-wheeler automotive market in India like Tork Electric and Ather Energy. A new one joined the fray in 2017 with a concept that then made its final-form public debut at the 2018 Indian Auto Expo – the Emflux One. 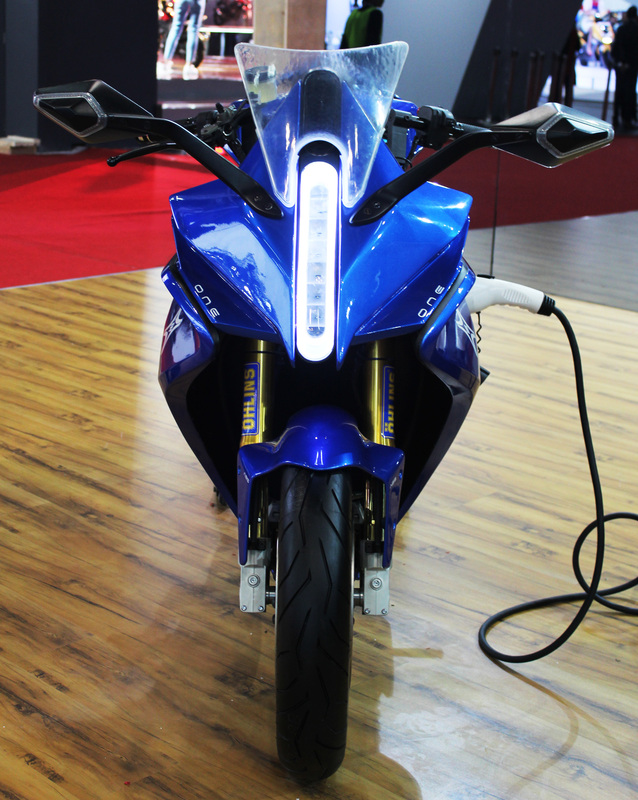 Yes, it’s an electric motorcycle but a really cool looking one and it’s the first one in India which makes it interesting too. I was at the Indian Auto Expo but skipped the ones thronged by crowds, including this one. 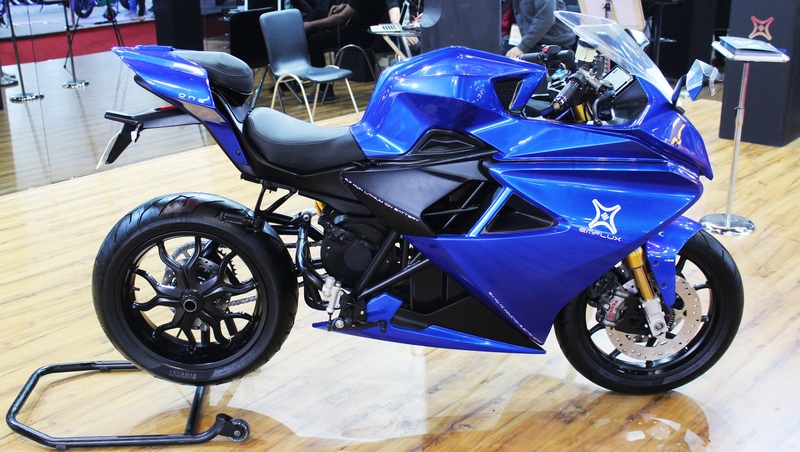 This e-sportsbike is the product of Emflux Motors which is based in Bengaluru with a team of not more than 50 people. The three founders have strong roots in technology, engineering and a passion for two-wheeled fun. One of them even used to work and design motorcycles for TVS and we’ve seen how good they are so the mix of minds was promising to begin with. Bringing all those interests together, they assembled a team to fill the blanks and with the help of angel investors have worked very hard to build the Emflux Model One from scratch. A 9.7kWh battery pack is the single biggest and heaviest part in it but no word on where they source it from. The electric drivetrain components were built in-house so they could be to spec and be inter-compatible to work as one complete unit. This includes the battery pack, the battery management system, an onboard charger, the motor controller and the 60kW motor itself which is run by a master controller. It’s all digitally controlled so fixes and updates can be sent over-the-air without taking apart any physical bits on the bike. In the final spec unveiled at the show, the Emflux One restricts the power output to 71hp and 75Nm of torque for a top speed of 200kph and a 0 to 100kph acceleration time of 3 seconds via the single speed direct drive transmission. When it comes to range, Emflux claim 200kms in the city but 150kms on the highway at a speed of 80kph, but these figures have yet to be tested in real-life conditions. The company plans to set up their own fast charging stations called WARP Chargers once the policy changes come into place that will offer 80% charge in 36 minutes. But from a 15A wall charger, it takes 3 hours to get the same level of stored energy. Built around a tubular steel trellis frame, this fully-faired electric sportsbike with glass-fibre panels weighs 169kg. Customers can also opt for carbon fibre panels for less weight and to make it cooler if more expensive to repair in the likely event of a fall or crash. Emflux One has 43mm upside down forks in the front as standard with a 46mm Mono gas shock suspension at the rear. Both ends can be upgraded for Ohlins setups with adjustable preload, damping and rebound. In order to stop, it employs dual 300mm front disc brakes with Brembo monoblock 4 piston callipers and a single 220mm rear disc brake with Brembo fixed calliper while dual-channel ABS is offered as standard. Pirelli Diablo Rosso II rubber is wrapped around the 17″ wheels for sporty riding and handling as well. The information cluster between the handlebars seems like a Tesla idea retrofitted to a bike and I mean that in a good way. The 6.8″ TFT instrument screen offers a lot of information in real time such as vehicle diagnostics, GPS navigation and performance. This tablet of sorts also enables bike-to-bike connectivity and Bluetooth connectivity as well. How these functions affect range from the battery is still yet to be tested in real-world situations. All that modern technology and those premium quality parts come at a price which puts the Emflux One with a price tag of INR 6 lakh on road. 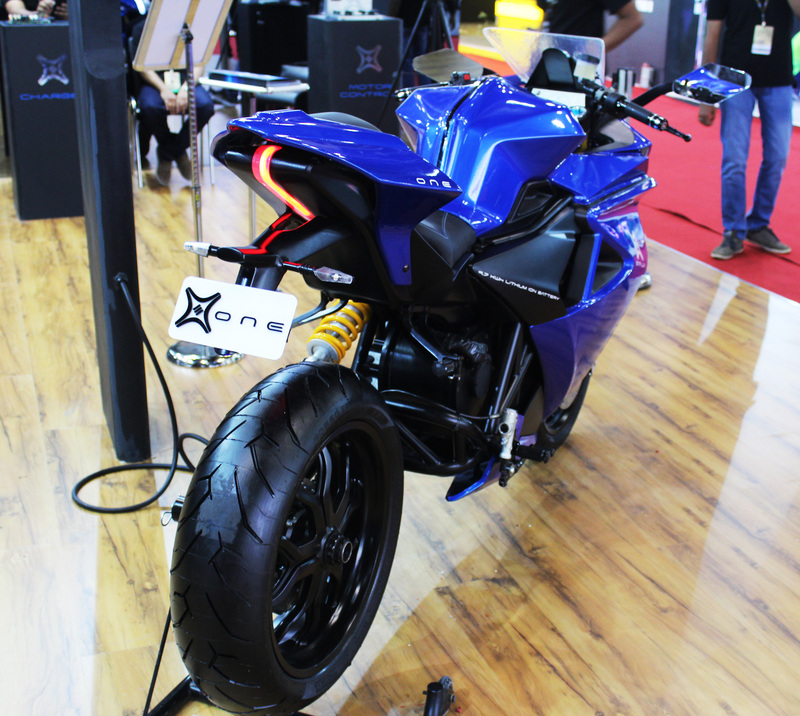 A fully-kitted version with all the performance goodies takes the price up to INR 11 lakh. That’s the price bracket for most 600cc bikes from the likes of Kawasaki or Honda, ones that can offer a lot more in terms of range and performance. Be that as it may, Emflux Motors is not betting on the Model One for all their business. But instead, the patentable tech that they built for it could be leveraged and sold to OEMs in both two-wheeler and four-wheeler markets. As of now, the Emflux One can be ordered online only and 199 units will be made for Indian customers with another 300 units for export. First customer deliveries are expected to begin in 2019. 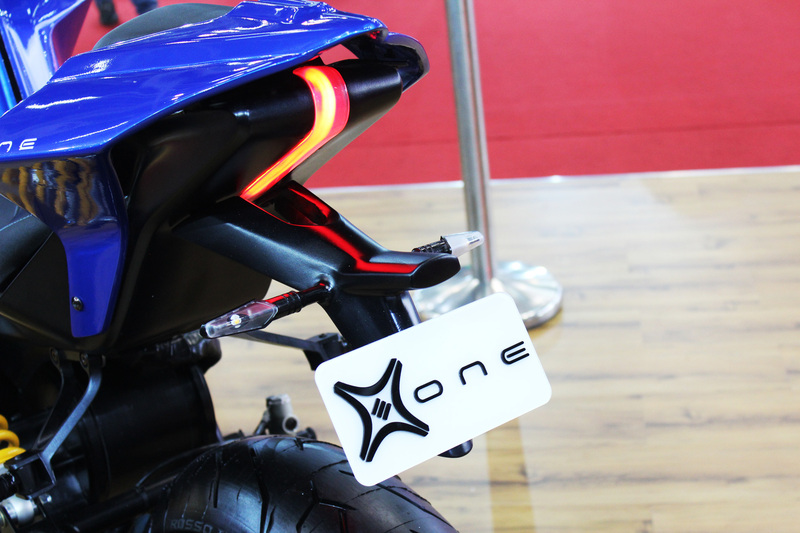 A naked sports bike is expected to follow suit with the name Model Two, but that has not been officially confirmed yet. Will the Emflux One have a significant role in encouraging a shift to electric mobility in India? Or will Emflux Motors be bought into by a large-scale manufacturer who sees the potential in their in-house technology? At present, it is the first and only product of this nature in the Indian market and it has a sporty design that can compete with some of the world’s best. What they could use is some big publicity like the Energica electric superbike did with F1 World Champion Nico Rosberg but more to come on that later on. Share your thoughts on the Emflux One in the comments section below and let me know what you’d like to see next on the blog. I hope soon I get to test it and share the experience so stay tuned and don’t forget to subscribe to The Auto Loons for plenty more to come.